The San Francisco Bay Area experiences close to 10,000 earthquakes every year. While most of them are so small they go unnoticed, nearly a dozen hit a magnitude of 4.0. Earthquakes this strong are capable of knocking a home off its foundation and causing some serious damage. Earthquake retrofitting, also known as seismic retrofitting, is the process of repairing a home or business in an effort to make the structure more resistant to seismic activity, such as soil shifting due to earthquakes. If you are living in Fremont or the surrounding area, your home is susceptible to the damages wrought by seismic activity. When it comes to protecting what matters most to you, it pays to partner with experienced structural engineers, like the ones here at Moore Construction. We have more than 25 years of experience displaying the finest skill and technique when it comes to retrofitting and repairs. We know what an important role our services play in the safety and security of your household, and strive to provide each our Fremont clients with the highest quality of service. Seismic retrofitting involves bolting a home to its foundation as well as adding plywood to cripple walls. 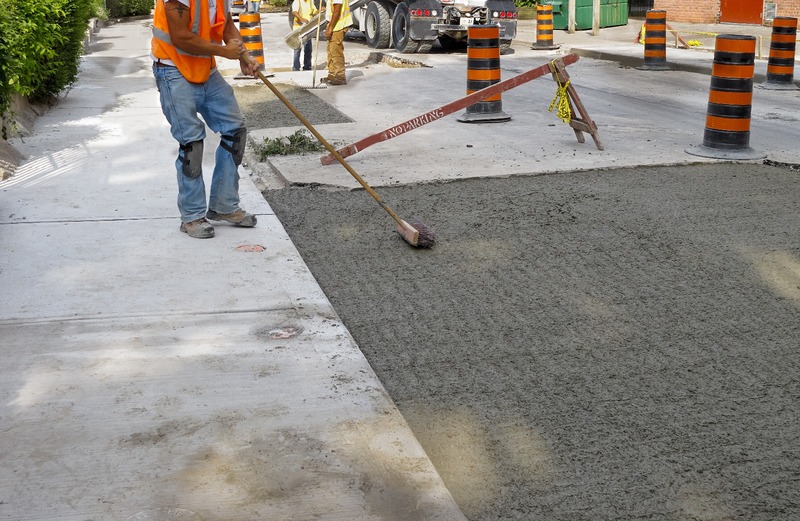 At Moore Construction, we have experience with all types of foundations, including hillside construction, non-ductile concrete, construction, and soft story construction. The term earthquake proof gets tossed around a lot in the industry, but there really is no stopping the forces of mother nature. However, you can prepare for when she strikes by teaming up with Moore Construction. For additional information or if you would like to know about seismic retrofitting projects we’ve completed in the past, we encourage you to get in touch with us today. You can’t put a price on peace of mind! If you are like most people, you don’t spend a great deal of time thinking about your home’s foundation, but there comes a point in most homeowners’ lives when it is time to enlist the help of a professional foundation repair company. A solid foundation plays a critically important role in the structural integrity, so repairs are not something you want to delay. At Moore Construction, we will be by your side as soon as we can to help you with whatever foundation problem you’re facing. Foundation problems typically present warning signs, such as sticking doors, wall cracks, and sloping floors. 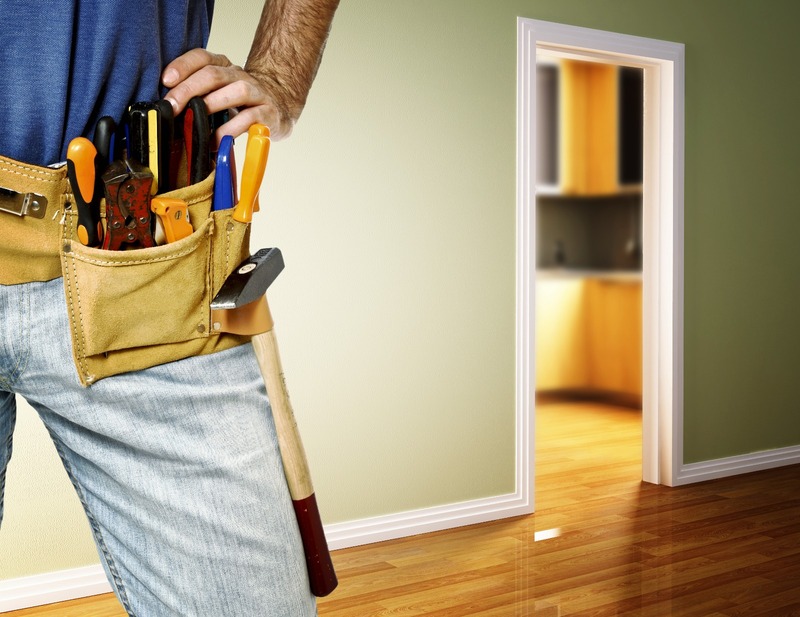 The only surefire way to determine if you are in need of foundation repairs is by scheduling an inspection. At Moore Construction, we can provide you with an on-site evaluation and offer suggestions on the steps to take to improve the structural integrity of your home. Issues with your foundation decreases the structural integrity of your home and jeopardizes the safety of your family. With Moore Construction by your side, you can feel confident knowing that that you are with a company that has specialized in structural restoration for more than 25 years. We strive to bring value to your home by applying time and cost effective techniques. An adjustable jack post is an interior steel support beam that supports light load bearing beams. Rusted or deteriorating adjustable jacks should be replaced for safety reasons. If you have a basement, you most likely have a sump pump for flooding protection. Typical sump pump problems include clogs, frozen discharge lines, a faulty float switch, a damaged impeller, and improper installation. A French drains is a perforated pipe that lies in a trench surrounded by gravel or rock, and is installed for the purpose of diverting rain water away from a house. If you’ve noticed that your basement or property floods during a rain storm, there may be an issue with your French drain, such as a clog. Many professionals in the construction industry will tell you that the foundation is the most important part of a house. That’s because the weight of your entire home rests on the foundation. A sturdy foundation, by extension, means a sturdy home. Unfortunately, over time, a foundation will begin to settle due to soil movement, excessive moisture, or seismic activity. 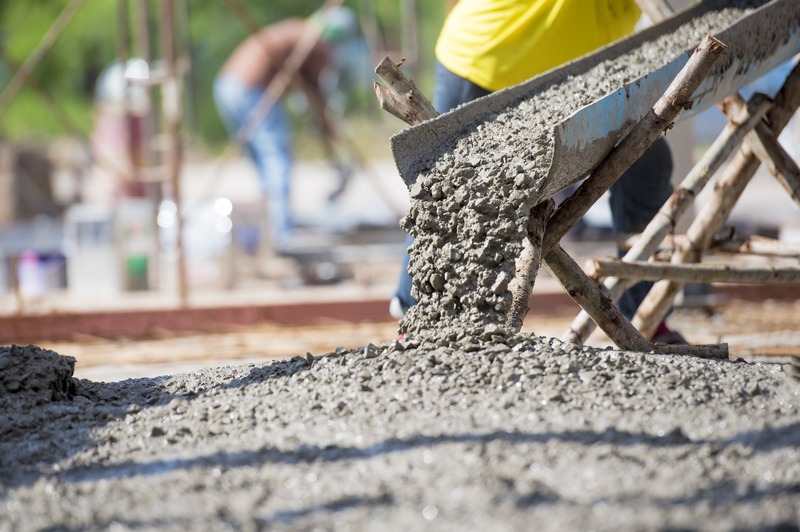 House leveling is the process of connecting the lowest point of the foundation to the highest point of the foundation. At Moore Construction we have provided the people of San Jose with house leveling services since 1990. 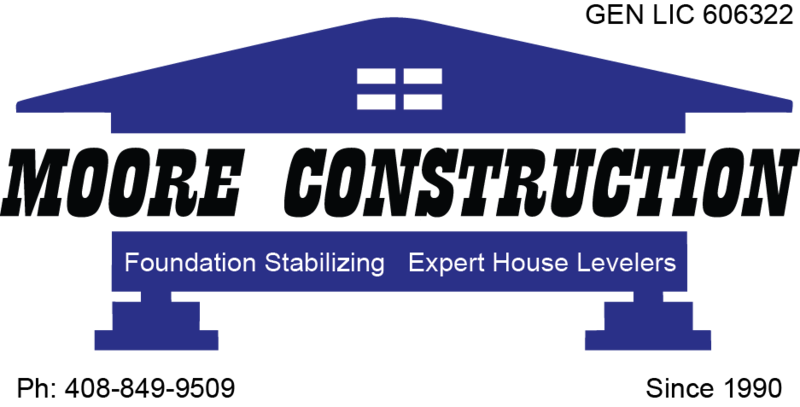 As leasing house leveling contractors, we have the skill and expertise necessary to help you with whatever foundation issue you are facing. Here in San Francisco Bay Area, we are highly vulnerable to soil movement because of the seismic activity in our area. While concrete is a highly durable building material, it is still susceptible to cracking and deterioration due to such activity. With Moore Construction, you can rest easy knowing that every aspect of the house leveling process will be completed in timely and efficient manner. If you are in the San Jose area and interested in scheduling an onsite evaluation to determine your house leveling needs, give us a call or send us an email.